A mix of established city firms and up-and-coming businesses are among those shortlisted for this year’s Birmingham Post Business Awards. After a record number of applications – more than 100 in total – 37 companies and individuals have been shortlisted across nine categories. The Birmingham Post Company of the Year will be selected from the winners of those categories, and all will be unveiled at the gala event on November 26. The NEC, The West Brom, Mac Birmingham and CBRE are among the established names to have been shortlisted this year, alongside growing firms like CrowdControl HQ, ORB Creative and Court Collaboration. A painstaking judging process has been taking place this week, with representatives of each of the shortlisted companies being grilled on their credentials at the Post’s Fort Dunlop headquarters. Post editor Stacey Barnfield said it was the strongest line-up of nominations he had encountered. He said: “It has been the most diverse and fascinating selection of companies that we have seen so far. “There are some wonderful success stories in there from some companies familiar to us at the Post and some who are on their way to becoming household names. The format of this year’s business awards judging has changed, with all shortlisted companies being grilled face-to-face by the Post’s panel of judges. Less than a third of more than 100 companies which applied for the awards reached the shortlist in the nine categories – small business, manufacturing, environmental, legal, finance, communications, outstanding professional, property and technology and digital. A total of 11 awards will be handed out on the night, including company of the year and the lifetime achievement accolade. 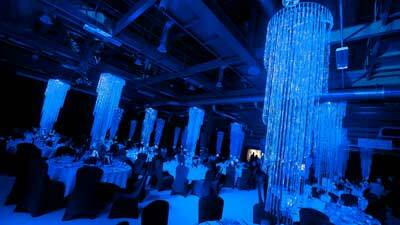 This year’s awards will be the biggest ever, with up to 800 people expected to attend the event at the ICC. Shadow chancellor Ed Balls will be the keynote speaker while stand-up comedian Lee Hurst will host the ceremony. The likes of Jaguar Land Rover, JLL, Wesleyan and Turkish Airlines are already lined up as sponsors for the event, which is always the highlight of the city’s business calendar. The event aims to give companies a showcase to exhibit their achievements from the past year. A special awards supplement will be printed in the Birmingham Post. Tweets about "#BPBA2014 OR #BrumBouncesBack exclude:retweets"